Your browser doesn't support this presentation. Try Chrome or Safari. A better web framework for Node. How about web frameworks for Node? *Geddy v1 was actually released before Connect. *You get some boilerplate app code, but no solid conventions. Winter 2010 - 2011: Yammer sets out to create an upload server that could handle the load of 3+ million users. 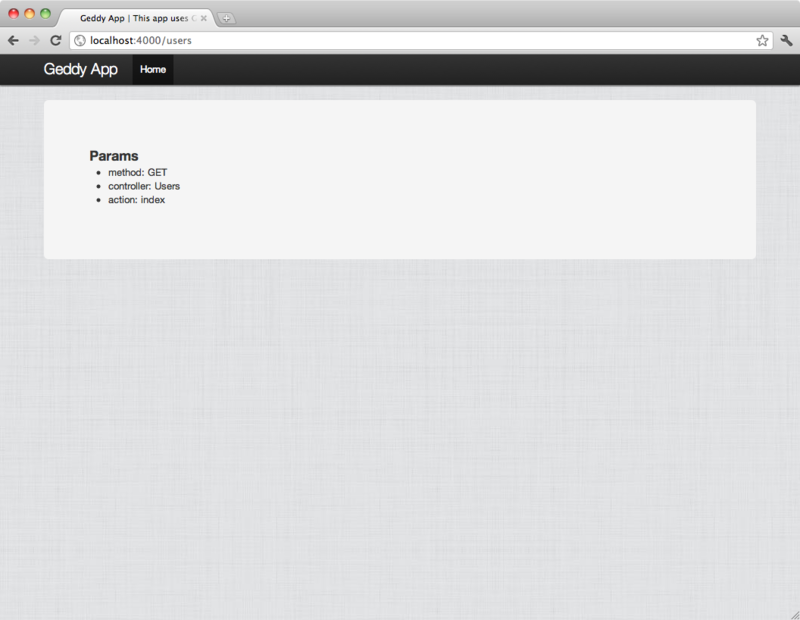 Early Spring 2011: The upload service launches with html5 document conversion, video transcoding, and image resizing. Fall 2011: A major refactor of Geddy is started- we merge the features that we developed for the upload service into geddy, and end up removing a lot of code in the process. What does a Geddy app look like? 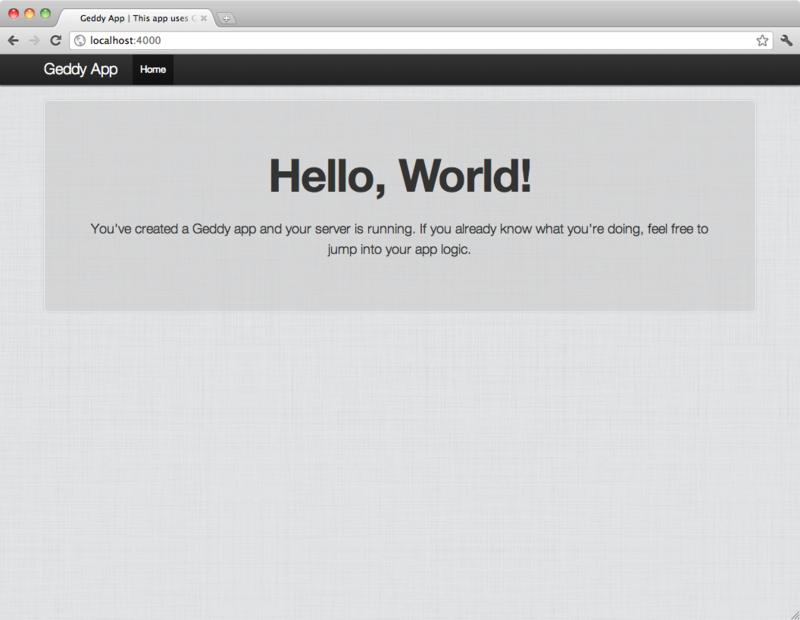 How do you start a Geddy app server?